The image of the controversial candidate to Seimas in the Vilnius Naujoji Vilnia district Algirdas Paleckis, who cannot boast any big income, is fairly paradoxical. He has received considerable sums from what is suspected to be the unemployed and pensioners, lives in a house on Laurai street, while a half million litas loan mysteriously up and vanished following some scandalous rhetoric from Paleckis, who had no income to cover the loan himself. A. Paleckis and his wife Olga Paleckienė’s wealth rose in a fairly odd way. Over the period of a year the politician paid off an almost half million litas loan despite only earning 4000 litas through the year. The politician began to declare his wealth in 2004. The declared wealth reached 133 thousand litas back then, with 10 litas in loans. As member of Seimas in 2005 he declared a far larger sum – 234 thousand litas and no loans. A jump in wealth was recorded in his wife’s declaration. She, who had no wealth earlier, declared having 100 thousand litas worth of wealth. Next year – a spike in wealth, a declaration of 781 thousand litas wealth. The declaration notes that Paleckis took a loan of 431 632 litas. His wife’s wealth rises to 241 thousand litas. 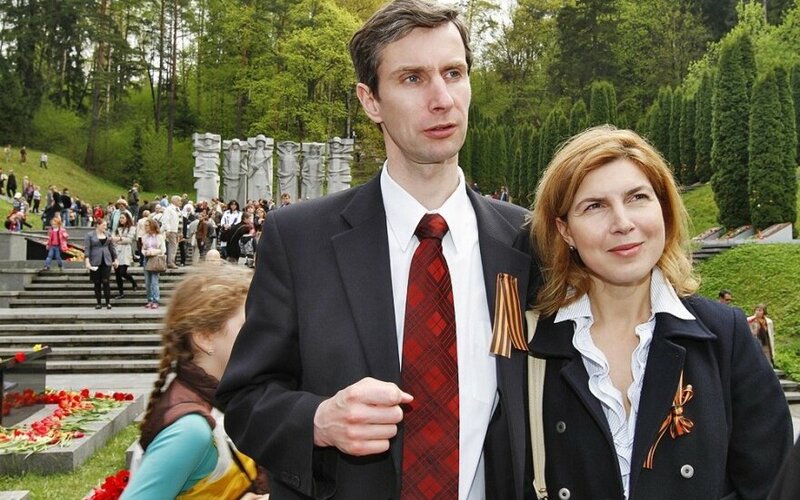 In 2008 their wealth does not change, neither does it in 2009 while Paleckis worked as a member of the Vilnius city council and led the Frontas party. A peculiarity appears in the 2010 declaration – the loan vanishes. Declared wealth is now 770 thousand litas, while the total loan amount is now 41 609 litas. As such it would appear that the politician covered the loan, but it return in 2011. Paleckis declares 773 thousand litas property and a 463 410 litas loan. That same year the politician had untaxed income, because the declaration states that he earned 13 417 litas that year. The income tax only amount to 758 litas or 5.6% of that. The politician claims that the loan vanishing from the declaration and later reappearing was simply a mistake. 2011 was definitely exceptional for the controversial politician, specifically that year he went to court for his statements that the events of January 13 were “friendly fire”, specifically that year he kept appearing in news media and received much attention and specifically through that year he managed to repay a half a million litas loan without having any income. This is shown by Paleckis’ 2012 wealth declaration, provided to the Central Electoral Commission (VRK) during that year’s Seimas election. The politician declared 621 thousand litas property and only 20 thousand litas in loans all of a sudden. So the massive loan vanished over a year. The greatest paradox is that over 2011 Paleckis declared having earned less than 4000 litas, with no taxes paid. Paleckis himself claims that a gift from his mother-in-law helped pay the loan within a year. Such a gift or deal was not declared to the VRK. Earlier Paleckis told news media that the 20 000 litas loan was separate from the other massive loan that this was money lent by a friend and later, having come to terms, gifted. This is not registered in the declarations either. “The loan of 20 thousand you are speaking of, that was a loan from a friend a few years ago. We came to an agreement with him and I no longer have it. (Journalists ask if it was gifted) As a matter of fact yes. (Journalists ask who the friend is) A close friend of mine,” Paleckis said in 2013. A. Paleckis’ supporters – a pensioner and an unemployed individual? It is not only Paleckis’ declarations that are dubious, but also the list of individuals supporting him in the 2016 Seimas election. In the declaration on contributions and contributors to his campaign submitted to the VRK, Paleckis specifies having received 10 740 euro for his campaign. 1000 euro from Vladimir Tregubov, 740 from Algirdas Aulas, 3000 from Jonas Sesickas and an entire 6000 from Krystyna Makarevič. According to a letter from one of Delfi’s readers, among Paleckis’ supporters you find unemployed or very low income individuals. Meanwhile Paleckis specifies that Tregubovas, Aulas and Sesickas are acquaintances, with Aulas being a pensioner and Sesickas – a businessman. “K. Makarevič is an acquaintance, she did business, perhaps she is now unemployed, but definitely did business; I am more than 100% sure everything is fine. Let the relevant institutions check, if they so desire,” answered Paleckis when queried about the work of his greatest supporter, claiming that there are various insinuations, but all the support is legal and there are no breaches of law. Algirdas Aulas would later contact Delfi to stress that while he is a pensioner, donating 740 euro is not inexplicable because of him being a Doctor of Science in Technology and having worked as senior science associate at the semiconductor physics institute. The head of the VRK Political Party and Political Campaign Financing Control department Lina Petronienė says that when a donation is registered, the system does not allow the treasurer to accept the donation until he contacts the State Tax Inspection (VMI). Firstly it is checked if the contributor has declared his income. “Donations should not exceed 10% of the contributor’s annual income,” she explained. After a few minutes the treasurer receives an answer and decides if the donation can be accepted. Donations exceeding the limit are not allowed through. “Both the VRK during the campaign and the VMI once again after it inspect contributors, whether they had sufficient income,” said L. Petronienė. How does Paleckis view the unification of various parties in support of Conservative rival Monika Navickienė? “They are climbing on the same rake. In 1992 everyone was uniting against Algirdas Brazauskas, we remember the result, next everyone united against Rolandas Paksas, and we also know the result of the 2002 election. Now they are climbing the same rake. I can only wish them luck. I rate my chances well, locals have known me for many years, not just in my opinion, but according to rivals and political analysts I should win,” he assured. Paleckis says he has helped many in the Naujoji Vilnia district, claiming to have consistently worked for four years by solving questions of renovation, utilities issues and participating in cultural events. “They are unifying against me because they fear an alternate opinion. I am surprised that the heralds of freedom and tolerance are intolerant of a different opinion, while in the district I am valued for daring to say what I believe and where needed criticising the elites,” explained Paleckis, infamous for his interpretation of the January 13 events. 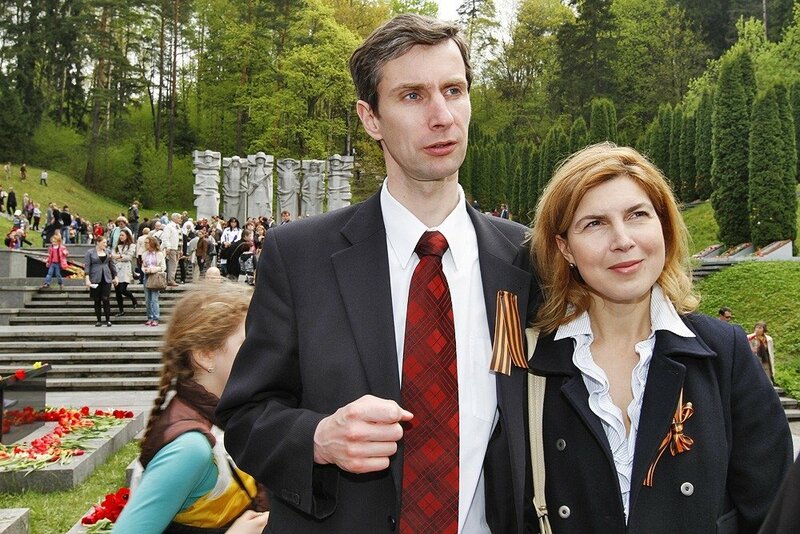 From 2012 to 2016 there have been no publicised wealth declarations of A. Paleckis. Due to running for Seimas, the politician had to once again provide data on his wealth, which has decreased over the past few years. In 2012 he declared 621 thousand litas or almost 180 thousand euro. His 2016 declaration states that he has an equivalent of 131 486 euro or 453 994 litas in wealth. He declares having earned only 2320 euro in income and having paid 263 euro in tax over 2015. Nevertheless despite his wealth decreasing, according to the Centre of Registers, Paleckis and his wife O. Paleckienė still own a house in Laurai Street, the ownership of which they split. This wealth has belonged to the family since 2006, when the loan was taken, according to the Centre of Registers. A. Paleckis and O. Paleckienė’s house which was what the loan was taken for is in a block of cottages in Laurai Street. Nevertheless, this is not the famous Laurai block, this place is significantly further. The block is walled off with a massive fence. However Centre of Registers data suggests that the block takes up a significant amount of state land. A resting zone is built on specifically state land with a shed, a grill and all walled off with a tall fence. It appears that the fenced off state land has been adapted for the use of the whole neighbourhood. Furthermore, based on Centre of Registers data, this block has other issues because the tall fence that separates it from the street and the electric gate are also in state land, not private property. This occupation of state land has been reported to the National Land Authority (NŽT) by Delfi. Findings pending. The NŽT will perform an inspection in the territory, Vilnius City NŽT department head’s assistant Daiva Gliaudelienė confirmed to Delfi. “Based on the information provided, we intend to perform an inspection of the plots of land next to state land in the location and the owners of the plots have been informed of this as of today,” she commented.